In 2010 social entrepreneur & mentor to young offenders at London’s Feltham Young Offenders Institute, Sadie Kaye, sailed to Venezuela with 3 persistent young offenders, selected at random by The Prince’s Trust, on an empowering white-knuckle voyage of self-exploration. Sailing the Atlantic in hurricane conditions, enduring constant alien threats, venturing inside Venezuela’s anarchic El Rodeo Jail & teaming up with renegade gang-reform program, Proyecto Alcatraz, the adventure of a lifetime was delivered, leaving all involved wondering: is life really a process of self-discovery, or of self-creation? Her sequel project Ship of Fools saw her take part in the Tall Ships Race with a crew of disadvantaged young people from the UK Discovery Sailing Project. Now, Sadie is preparing to make waves with her boldest Voyage of Adventure yet. 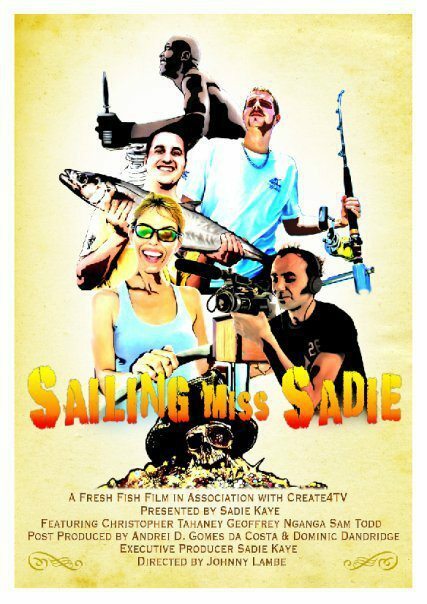 The 2018 sequel will feature a disabled crew from Hong Kong charity Sailability, two world record attempts, and also be filmed & broadcast on RTHK & Discovery as Sailability Miss Sadie.